I love risotto. I could eat it all the time and never get tired of it. The only problem with risotto is that it is fairly time consuming. It isn't hard, it just takes time and patience to get it right. It isn't really conducive for a week night meal. 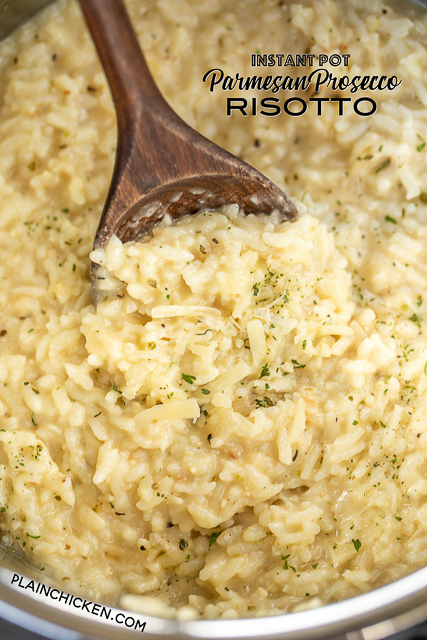 I've tried several risotto recipes, and this recipe is the hands down winner. It is made in the pressure cooker and only takes a few minutes of prep time. 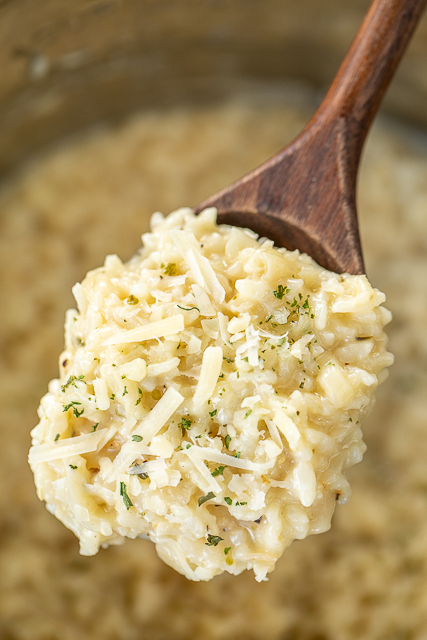 The risotto cooks to perfection in less than 10 minutes. It is al dente and wonderfully creamy. We both loved this. The flavors were spot on. 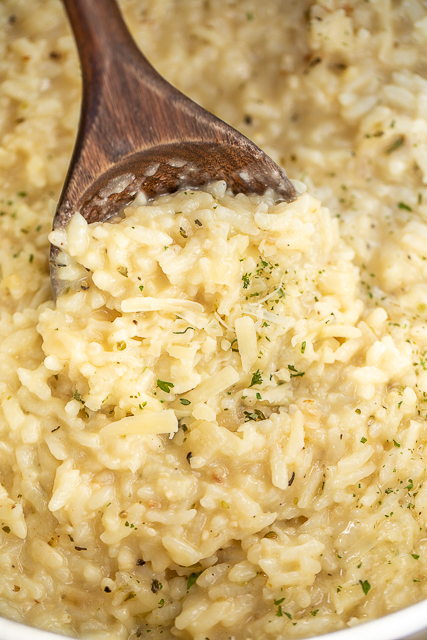 This is such a versatile recipe; so many ingredients could be added to this risotto to make it a substantial meal on its own. I think some seafood and/or green peas and mushrooms would be a nice meal (for Chicken Legs). Turn Instant Pot on "sauté". Add butter to cooker; swirl until butter melts. Add shallot; sauté 2 minutes. Add garlic; sauté for 30 seconds, stirring constantly. Add rice; cook 1 minute, stirring constantly. Add 1/2 cup prosecco; cook 1 minute or until liquid is absorbed, stirring constantly. Turn off Instant Pot. Stir in remaining 1/2 cup prosecco and broth. Close lid and seal pot; set to "manual" or "high pressure" for 8 minutes. Quick release steam. Remove lid. Stir in cheese and seasonings. Let stand 5 minutes to thicken. I finally mastered the technique of making risotto last year. It is a comfort food for me. I will have to try this recipe soon! I love risotto this looks fabulous! Risotto is a beautiful thing...this looks wonderful! Very nice, never had Rissoto.